Fireplace installation for Pittsburgh’s new construction boom. If you live in the Greater Pittsburgh area, then you’ve noticed an influx in new housing plans and customized homes popping up everywhere. From neighborhood to neighborhood, many residents are opting to build a new home versus purchase an existing one. With that, comes a ton of customizable options to create the perfect sanctuary for you are your family. And while some developments offer standard fireplaces, Ed’s Woodshed provides an array of unique wood or gas fireplaces and stove you can incorporate into your tailor-made blueprints. If you’ve decided to build a new home, Ed’s Woodshed has ways you can add an eco-friendly and elegant fireplace or stove to your new home. It all started with the open-hearth. 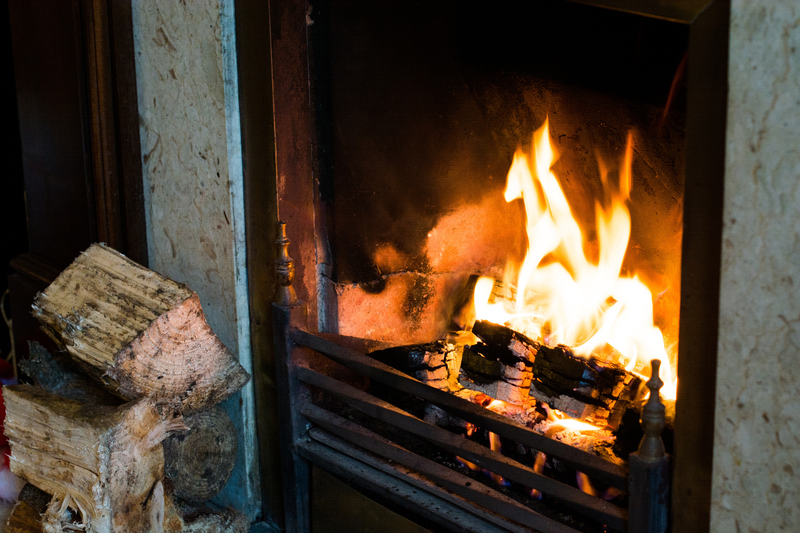 Wood fireplaces are a thing of American tradition, dating back to the beginning our roots. Modern wood fireplaces offer the same ambiance as their traditional, open-hearth counterparts, but new technology allows you to enjoy safer and longer wood burning time. High-efficiency (HE) wood-burning fireplaces allow you to enjoy up to 8-hours of wood-burning, with one single load of wood. Glass doors offer beauty and safety from flying sparks and ashes. While you’ll have a clear view of the burning embers, the closed doors hold in the heat, helping it radiate and warm up a room. And newer safety practices created to meet new clean-air standards, provide better airflow allowing the wood to burn evenly and with less ash and smoke emitted into the air. Gas Fireplaces: A Modern take on the traditional hearth. Gas fireplaces are what many folks opt for when they simply don’t want to tend to a fire or have to buy or chop wood. Gas fireplaces are low maintenance and cost-effective. They produce no spark or ashes, nor are there fumes omitted that are typically associated with burning wood. Gas fireplaces also offer a constant, controlled heat supply. Lack of sparks and ash make gas options a great solution for families with young children and pets. There is no right or wrong between choosing a gas or wood fireplace, it’s simply up the home-owner, and possibly the developer. Both wood and gas fireplaces have a ton of customizable options, like trim and accessories, to make your new fireplace truly one of a kind. Freestanding wood or gas stoves are ideal for those who want a fireplace but don’t want to spend on the chimney. There are vent free option that require no mantle adding to the savings of a traditional fireplace. Wood options will help you get away from relying on utilities since wood is a renewable resource. Wood is also an alternative light and heat source during a snowstorm causing a blackout due to downed wires. Both wood and gas allow offer glass doors for heat retention and you can use the stove top to cook an entire meal! Cast iron stoves offer an array of enamel colors, sizes, accessories, and other features.